I will greet the world when I’m perfect and not before. I love me. I love me not. We all struggle with truly loving ourselves unconditionally. When we will only love ourselves based on meeting conditions we’ve not really learned the true nature of self love. Most tenuous relationships with self-love stem from how we were spoken to as a children. If you’re taught that you are only worthy of being loved if you measured up or didn’t disappoint you will hear a negative voice in your head scolding you for the rest of your life until you become conscious of it. Once you identify that voice as the “false copy cat” that it is you can truly begin to work on the relationship of loving yourself. The first thing to do is realize that you are not that voice. You are something more, something greater, something bigger, something so awesome that if you were to take the blinders off and really see – it would stun and amaze you. That self-defeating voice you hear is the small “I” that wags a finger in your face and spouts all kinds of negative self-talk at you. It is not the eternal “I” that you are and always will be. •When you allow yourself to dream about doing the things you’re passionate about don’t you feel “expansive” and sense that you are larger than this life? •Don’t you feel that there is a power within you that is greater than you are coming through and buoying you up to new heights? •Don’t you feel a sense of unbridled joy and excitement streaming out of you? This is the true awesome you that the self-defeating voice is suppressing. Can you imagine what your life could be like if you squelched this voice forever? Can you imagine what you would do? Who you would be? How you would live? You would be thoroughly happy, satisfied and enthusiastic about the possibilities of each and every day. You would know that there is nothing to fear, but fear itself. And, you would become the superhero of your own life! It’s simple, but not easy. It’s simple because the answer is to stop listening to the “self-defeating” voice until it simply fades away, and it’s not easy because it’s a process requiring commitment, effort and vigilance. Make time each day to meditate. Meditation is quieting the mind and observing your thoughts – not engaging with them. The more you do this the more you will begin to realize that you are not your thoughts and the less power they will have upon you. We all make mistakes. There is not a human walking upon the face of the earth today who hasn’t made a mistake. Tell yourself it’s alright to make mistakes and that if you’d known better – you’d have done better. Learn from your mistakes and move on. Don’t allow the memory to replay in your mind over an over pulling you down. We all know to “Do Unto Others,” but do we realize we ought to be as kind, gentle and respectful to ourselves as we are taught to be to others? We are the best friend we seek. Until you nurture a truly loving relationship with yourself all other relationships will always disappoint you. You are a perfect being of pure light who has chosen to experience life as a human in an earthly body. You are here to learn, therefore you are going to make mistakes. To wait to make a grand entrance into life until you are “perfect” is like saying, “I will not go to Kindergarten until I have my Ph.D.” Take perfection off the table – it is not an option. Take an inventory of all your assets. What are you good at? What have others complimented you on? Find the things about you that you’re most proud of whether they be character traits, accomplishments, or deeds and really praise yourself as you would a dear friend who needs their spirits lifted. Learn to trust and follow this guidance and you will be led to share your gifts with those who most need them and would most value them. 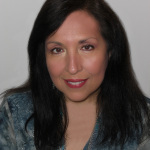 You will feel so rewarded and blessed to be able to share your gifts and talents that during this process you will discover that you have begun to love yourself. Feel the pulse of life leading you to try to new things , meet new people and and see new places. Only by engaging in life do we learn that fear is a false emotion. The more we engage the more we will see that we are accepted my most everyone and that it has been our own lack of self-love that has kept us apart from life. The more you love yourself the more loving you will be toward others. The more loving your are toward others the more people you’ll draw into your life that will also like, love and respect you. The more you love yourself and others the more your love will become magnetic and draw to you the sensational life you always dreamed of. Have you struggled with self love? Are you able to say you love yourself now, or is it still a conditional love? What will you do to change from conditional to an unconditional love for yourself? If you enjoyed this post please subscribe and share on Twitter and Facebook. Thank you! P.S. 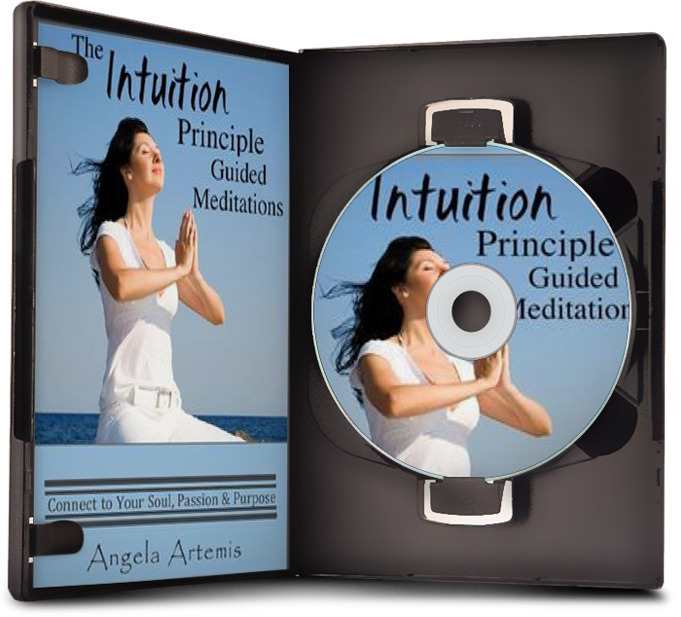 If you’re new here please don’t forget to take your free gift with you – my ebook: The Intuition Primer. I never let guests leave my house without a care package! Some days I say, “I love you – your just fine the way you are,” and then others, I growl and snarl at myself. By learning to love, be kind, contented and approving of ourselves, we become a more positive influence to our own circles. I too am learning to be more loving and kind to myself as well. I agree. WE do become a more loving influence to our own circles when we love ourselves. You have written about what my life used to feel like. The battle over my self-defeating voice has been vigorous, but I’m learning to silence it. As you write, banishing perfection has been the key for me to leave the past in the past and embrace self-love. Thanks for being such a compassionate advocate for us. Yes, “do unto others…” doesn’t work unless you’re kind and loving to yourself. If we can’t love ourselves, how can we feel worthy of receiving love from anyone else? When you stop to think about it – it makes sense with regard to doing unto others and being able to love ourselves. I’ve never done well discussing this topic because it’s true meaning has always eluded me. I think as I continue on my spiritual journey and make more time for meditation I will start to better comprehend what it means to love the self. I think it is hard to know what self love is until we experience it ourselves. It certainly isn’t vanity, being self centered or narcissistic which you might think it is before you come to truly love yourself. It’s loving ourselves as we would someone we do truly love in our lives. If you’re a parent think of it as loving yourself and being willing to take care of yourself as well as you take care of your child. When you look at your child you see through different eyes, don’t you? You see the amazing being you’ve brought into the world – that’s how you feel toward yourself. Thank you for this interesting & important post. Self love comes with self acceptance… of who we are now & who we are to be in the future.This often means breaking free of limiting beliefs conditioned in to us from earlier years….many of these ‘beliefs’ no longer serve us. You must accept & love yourself before being able to fully embrace others. It is a pleasure meeting you. You’re absolutely right and I agree with you. Self love does come with accepting ourselves. When I stopped focusing on all the supposed “faults” I perceived in my body and abilities I suddenly woke up one day I felt “free.” I realized it was because I wasn’t hearing those critical voices any longer. It was so liberating! The best part of getting older is the wisdom, maturity and self acceptance we gain. Thank you for sharing your comment with us David. I struggled with self-love when I was young. There were so many ideas I got from others that I had to be this and that before I was worthy of being loved. It did not help that these ideas soon ingrained themselves in my thinking and made my thoughts self-defeating. Even so, since we got our ideas from others, we can change the way we think and choose beliefs that empower us. I love the steps you have laid out for loving ourselves. 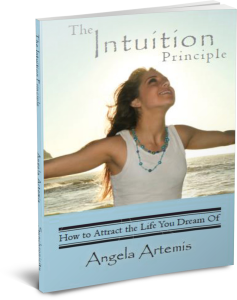 I feel that being conscious and following our intuition is one of the best ways to love ourselves. We need to be awake and fully aware of our actions and choices so that we make the ones that benefit us. 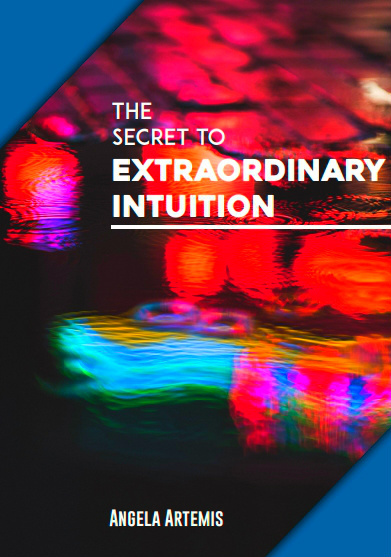 By following our intuition, we align ourselves with actions that suit us best. When this happens, self-love flows more naturally. I would say that I am able to love myself today unconditionally. There may be occasional slips and lapses from time to time, but it is easy to regain my centre quickly enough. Change did not happen overnight or come easy, but it is possible. It just takes a lot of practice and hard work to love ourselves, but it is well worth the effort. I’m so glad to see that you’ve joined Evelyn’s project with your own post. I just read it found it to be amazing! Loving ourselves does take practice! It’s a lifetime of constantly remembering that we are not the judgmental and critical voice in our heads! Hmm, is there anybody out there who really loves themselves completely? I wonder if we do when we’re on the other side. And if so, then why is it so difficult when we’re here? I think about these things sometimes. I like to repeat to myself the phrase “I am lovable, loving, and loved.” Somehow just saying that can help. I think it’s rare too! I do love myself, I know that, but often I find myself being very critical of myself for not having done something as I thought it should have been done. When this happens I realize I’m channeling my mother! I love your affirmation. Affirmations are really powerful – they do work! Thanks so much for swinging by for a chat Anna. It’s always great to see you! I’m just ending my second week of meditating. You’ve inspired me by writing about it so much and then I got in that beta testing group and my results have been amazing. Have a great weekend. Wow! That’s fantastic! I’m so glad you’re doing it. It is amazing what meditation can do isn’t it. You have a fab weekend too! You’ve summed up the basic point of the post so well! It is exactly as you say, a “snowball effect!” We love ourselves and are kinder and more loving to others which helps “light up” their more loving natures and it spreads in a snowball effect around the world. Thank you sharing your wonderful insights here Lance. That was perfect! I also agree wholeheartedly – when we lover ourselves those other “icky” reactions we don’t like about ourselves recede too. The way we tend to raise our young, sending them off to an institutional-setting for 12 years doesn’t foster a whole lot of self-love. There’s something brutal about the environment and the more I research our schooling system the more evident to me it becomes. Others may not agree. I liked myself just fine until 6th grade when I had to move and enter to a new school. While I’d had some issues with teachers before trying to muzzle my inquisitive nature, it was the first time I experienced “mean girls.” I wrote a speech about it in college and your post here has just reminded me of it. Had been well liked at my previous school, so the unexpected ill-treatment sent me down a road with little self-love until many decades later. Great ideas here! I’ve finally found a way to meditate that works for me. And I’m taking the advice seriously now as Mother’s Day approaches with my kids away and my mother passed on. How can I love myself that day, is the question. And I will find the answer! I’m glad you enjoyed the post. Love seems to be the answer to almost anything! I’m glad you found a way to meditate that works for you too. Happy Mother’s Day to you! Treat yourself well and do something special on that day! Angela, you’ve nailed this so well! We must love ourselves and each other as much as we can, not bring hate into play because things don’t work out exactly the way we want them to. I love what you mentioned about banishing perfection. Perfection is the opposite of ‘enough’, perfection is that mindset where ‘more is necessary’, and we keep striving to get better and better because we can always push ourselves a little harder. But why? Why strive for perfection when you’re not going to reach it? Thanks for such a lovely compliment! Love does work miracles. I guess that’s why its always the answer! I agree “enough” is perfect! I totally like the last part where you talk about becoming more loving. I believe that each of us has a uniquely different circle of influence – the people we love, our jobs, businesses, community causes etc. By learning to love, be kind, contented and approving of ourselves, we become a more positive influence to our own circles. This influence can ripple out to their circles to create more positive influences. It is a rippling effect, and it can start from our conscious choice, one at a time. I agree with you 100 percent! Each of us does have different sphere of influence. I suppose all our spheres might even intersect at some point like, “6 degrees of separation, ” too. If we all send out more loving vibes we’d live on a changed planet! I’m glad my ripple has touched yours! Thanks so much for visiting and adding your take on this here. That picture is amazing! 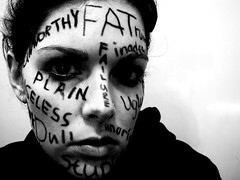 So much of how we feel about ourselves is our parents voice in our heads. I’m so lucky to have had two parents that treasured me and let me take my own path. I know. As soon as I saw it I thought it was perfect! You’re lucky to have had two supportive parents – that really helps. Thank you. I’m so glad you enjoyed the post. Such an important and powerful post! Self love is something far too many do not have and yet we are all capable of having it. It can often seem elusive and difficult to find, you offer a fantastic road-map! You’ve put it perfectly. Self Love is often elusive and difficult to maintain. Some days I say, “I love you – your just fine the way you are,” and then others, I growl and snarl at myself. I once read that fear is False Evidence Appeaaring Real. You know, I agree. Especially in financial matters. It’s true that self love is a somewhat hard – to -pinpoint topic, but it’s good to realize that ALL of you loves you. Even the hateful and negative thoughts. Those are automatic security measures designed to protect you. It can be changed, of course. I love that acronym about FEAR. It is absolutely on target! So many people are fearful about financial matters, aren’t they? We live in the real world where finances matter. If we ignore them we aren’t learning one of the most powerful lessons we came here to deal with: personal responsibility. Eckhart Tolle spoke about having a similar experience when his nagging mind turned off and he experienced a feeling of freedom that he hadn’t for a long time. Thank you for reminding me of what Eckhart Tolle said. I had forgotten. Which book was it in? The Power of Now, or A New Earth? I read both. Can you imagine how free we’d feel if those voices went away forever? Thanks so much for visiting and commenting Justin. It’s a pleasure to see you here. I’ve been working on getting over my perfectionism for a long time. I have it down in some areas and not in others. I guess it’s all process just like the rest of life! I’m glad you found the post helpful! Our live and the world would turn out. Thanks for sharing this through and encouraging our recognition. Self-love and loving others is a big topic on my scope these days. I appreciate the tips you’ve given here leading the way. I agree completely that it begins with the decision to live consciously. I’m glad you found the post worthwhile. I think we all have read way too many posts on the topic of self esteem and self love to find much to say that’s really original. I do think having a better self image could be the start of changing our world. If we loved ourselves we’d treat others better and have better relationships which would create a healthier atmosphere across the globe. Thank you so much for coming over to comment. I appreciate your support. Thanks for this. That’s definitely something I’ve noticed in my own life as well — that if I’m “not okay” with some aspect of myself, I’m not going to “be okay” with the same aspect of other people, and that’s going to put a damper on my ability to have fulfilling relationships. I’m glad you enjoyed this post. Yes, I think as we get older and wiser we notice that our own issues are mirrored in our relationships with others. I suppose you could say this is the blessing of maturity.